The beauty of hydraulic quick disconnects in Chino CA is that they make working on your hydraulic equipment so much easier. Hydraulic quick disconnects with double shut off valves allow you to quickly and easily remove various components for maintenance, without using special tools or losing pressure in the rest of the system. This means that repairs and maintenance can get done quicker, saving you time and money. 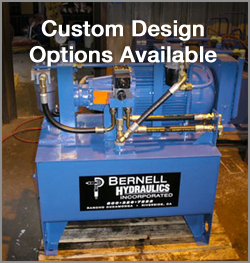 At Bernell Hydraulics, we carry an extensive selection of hydraulic quick disconnects in Chino CA from some of the most respected names in the industry, Parker and Snap-Tite. We’re actually an authorized distributor for these brands so we can offer you guaranteed factory-certified quick disconnects. If you can’t make it into one of our stores to pick up your new quick disconnects, we’ll be happy to deliver it to you and install it in your equipment, or mail it anywhere in the US.